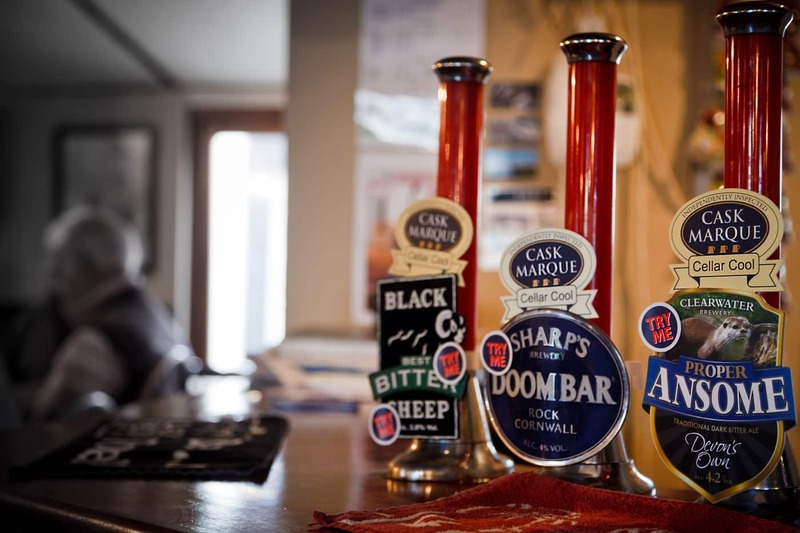 The Royal Oak is a thriving village pub offering great food and drinks in a warm friendly atmosphere. It has everything you could hope for – including a leafy beer garden, pool table and roaring fires in winter – plus a few surprises, such as eclectic local artwork and monthly acoustic jam sessions. 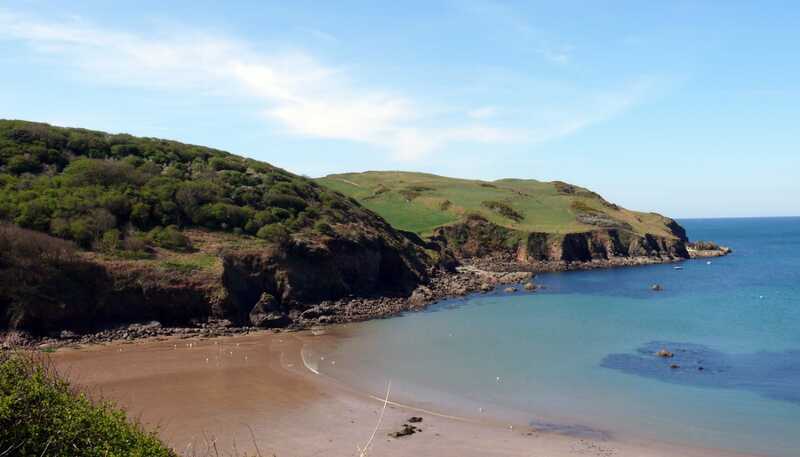 The Royal Oak, in the pretty South Hams village of Malborough, is just a short drive or wonderful walk from Kingsbridge, Hope Cove and Salcombe. "What a CRACKING boozer. Food too - just goes to show KEEPITSIMPLE"
Valentine Warner TV Chef · BBC "What to eat now" · Food writer · Enthusiast for all things seasonal! The Oak is open for dinner every day except Sundays. On Sundays we serve lunch from 1pm (booking definitely advisable). The dinner menu is changed daily. Our chef uses fresh ingredients sourced from leading local independent suppliers, including meat from top butchers Lidstones of Kingsbridge. We also have traditional bar snacks. We take reservations, but we also keep some tables free for walk-in guests. Bed & Breakfast with a choice of 3 rooms. Wake up refreshed for a day of walking on the beach, relaxing, sightseeing, a trip to Salcombe or whatever takes your fancy. 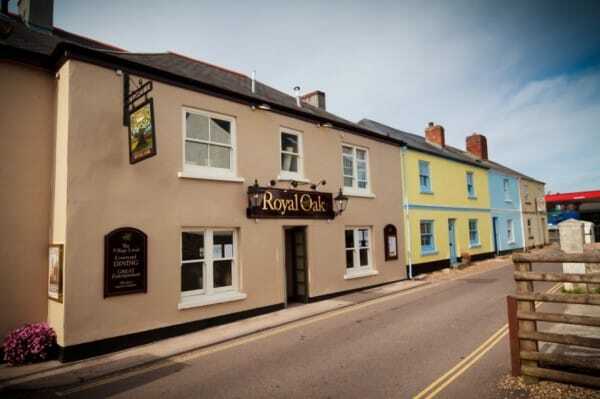 The Royal Oak has recently been refurbished and now, for the first time in its 400 year history, we are pleased to be able to offer comfortable accommodation for visitors to this glorious corner of Devon. 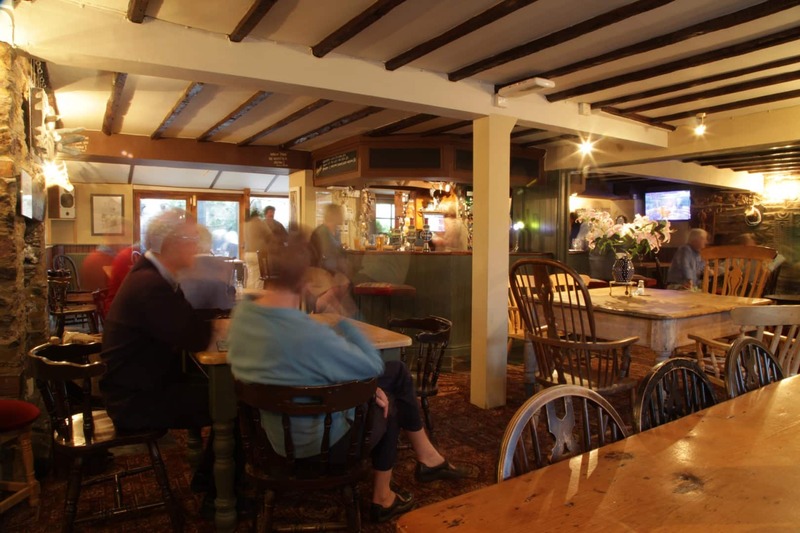 Thanks to its colourful locals and long history, the ancient pub is established as a unique family pub experience. With its refreshing artwork and famed reputation in the region as a live music venue, The Oak is a natural choice for creatives in south Devon, often buzzing with artists, performers and audiences from around the country. Acoustic jam sessions, featuring everything from folk to blues and rock are held on the second Wednesday of every month (8.30pm) & Open Mic Night every last Thursday of the month.